The Wind Rises is a film drenched in melancholia - before the first frames have begun to flicker and flutter Hayao Miyazaki’s latest movie into existence, its impossible for cinema-goers to not feel a tinge of sadness that the feature ahead will be the Japanese animation maestro’s final tale. A world without the whimsical creations of the director is one all the poorer in his retirement. 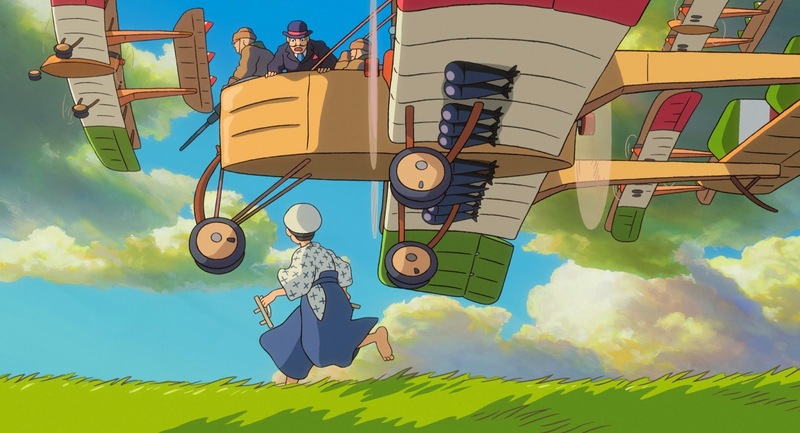 In his swansong, Miyazaki has crafted perhaps the most personal film of his entire career – a romanticised portrait of aircraft designer Jiro Horikoshi who, through his flying creations, aimed to soar, swoon and swoop, and view the world from elated heights. Its clear to see why Miyazaki may have recognised a kindred spirit in Horikoshi; artistic souls who strive to bring beauty into existence above all else. The Wind Rises is a tale of two love stories - each inspired by the wind. As a child, Jiro spends his nights painting pictures in his mind of imagined flying machines; he transcend the limits of the earth as his dreams take flight. As an adult, a gust of wind removes his hat and introduces his heart to the soul who catches it; once more Jiro is elated by love and wonder. Yet, the romantic existence imagined by the aircraft designer is not one which reflects the more suffering and sadness of the world around him; disease and war threaten to rot the beauty of life. Yet, as Paul Valery writes in the poem which gives Miyazaki's feature its name: "The Wind Rises, we must try to live!" Even though the world has darkness in it, we must learn to live in the light. Sadly, despite the sublime comeliness found in the aesthetics and sounds of a Ghibli production, Miyazaki's final film doesn't quite manage to fly with the serenity of the work that made his name. Whilst the central romance is as lovely as it is hauntingly bittersweet, this element seems disappointingly underdeveloped with emphasis placed on Jiro's discussions concerning the humdrum banalities of the mechanics of flight. Magic realism meets bland discussions of rivets and spokes; sadly the latter comes out on top. In a number of ways, this fact is perhaps the saddest part of a movie signalling the end of one of cinemas greatest talents - whilst we all know about the less than thrilling qualities of the real world, most of us would like to spend longer in the impossible terrains of Miyazaki's imagination. Regretfully, the director takes us on a journey to the former and leaves us longing for the latter.